You’ve probably never heard of Focal, but the French manufacturer best known for making high-end loudspeakers now deserves a spot on the shortlist of anyone looking to upgrade their everyday headphones. That’s because its newest over-ear cans, the Focal Listen, nail the two things any worthwhile pair has to nail: comfort, and sound quality. 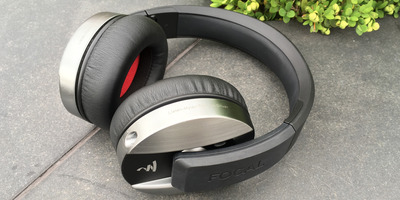 At $250, they’re right in line with the Beats and Boses of the world, and while they won’t earn you the sort of envious glances those brands might, they will get you a balanced, detailed sound you can enjoy for hours at a time. They will be available on July 15, but I’ve tested them for the past couple of weeks. The Listen headphones are built well. They aren’t all that luxurious or exciting, but their brushed aluminium earcups and all-black headband aren’t ugly, and the whole thing isn’t particularly heavy. It’s also sturdily put together, with that headband being nice and flexible. The included cable uses a 3.5mm connector, which might be an issue in the future, but it is detachable, which might make any transition less of a headache. Unfortunately, it doesn’t have volume controls — just a mic and a play/pause/skip button — and its input end is awkwardly angled. That’s easily forgiven once you put the headphones on, though. The earpads here are soft and very well-cushioned, sinking over your ears without any fight. The headband could stand to be padded just as well, but again, it’s the kind of fit I was happy to revisit day after day. That noise isolation only bolsters the Listen’s performance, which is strong for the price point. This is a well-measured sound, one that gives good space for tracks to breathe and does well to articulate fine details. Its highs are crisp, its mids are clear, and though it very much aims to be accurate more than “fun,” its bass is bouncy and tight. That said, its lows don’t dig too deep, so stick to something like the V-Moda Crossfade M-100 if you’re all in on bass. If you listen to a wider range of music, though, it should be balanced and smooth enough to keep you happy. 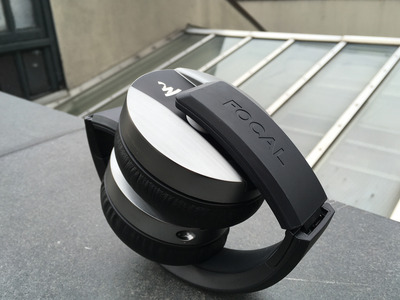 Focal launched a couple of ultra high-end pairs alongside the Listen this week, which sounded fantastic during a brief demo session last month, but also cost four figures. For most people interested in a legitimate step-up, the Listen are the right price, and confidently cover the fundamentals. I can’t say they’re The Best, but they’re well worth a listen.